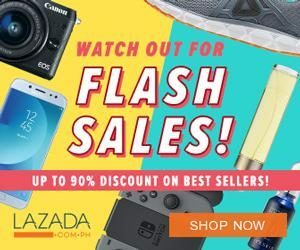 Deck your home with quality essentials for less only at the Appliance Warehouse Sale 2018! Planning to give your crib its well-deserved revamp before the holidays? Get all the appliances and kitchen equipment you need to prepare for the upcoming festivities. Don’t miss the Appliance Warehouse Sale 2018 happening on October 19-20. Enjoy whopping discounts up to 70% on Whirlpool, Fujidenzo and Tecnogas brands. Get a hold of the latest home products at the best value prices when you visit them at their Bulacan warehouse from 10:00 AM to 5:00 PM. Make housework a joy, not a chore, with our huge selection of home appliances for every part of your home. Revel in wide selection of washing machines, refrigerators, cooking ranges, microwave ovens and more- all lined up for the 2-day sale event. So, mark your calendars and tag your shopping buddy. 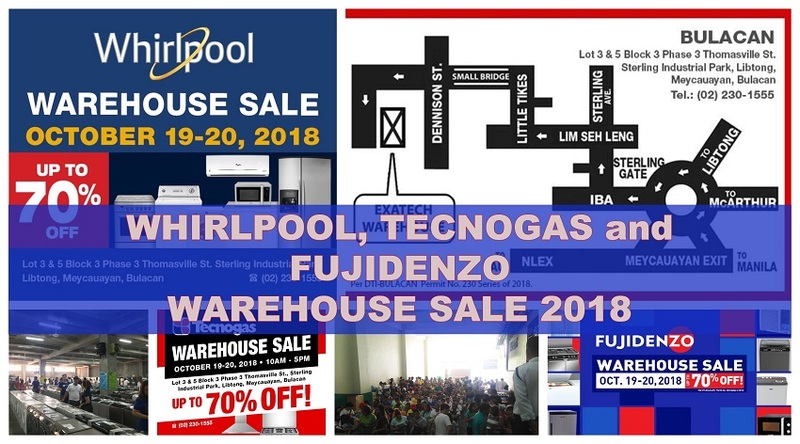 Head on to Lots 3 & 5 Block 3 Phase 3 Thomasville St., Sterling Industrial Park, Libtong, Meycauayan in Bulacan for another exciting bargain hunt. For inquiries you may call them at (02) 230-1555. Due to limited space, the FIRST COME, FIRST SERVED policy will be strictly implemented. Queue numbers will be issued starting at 7:30 AM at the gate. Entrance to the sale will be done per batch. A different queue number will be given for paying customers at the cashier. In case you missed, Big Garments Sale Pre-Holiday Sale 2018 is also taking place at Sterling Industrial Park until October 21, 2018. Please click HERE for more information.